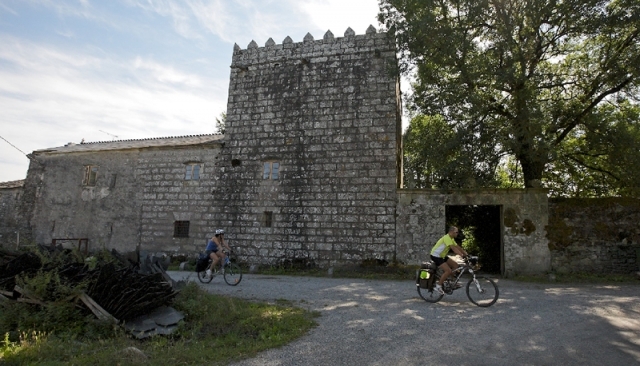 In the hamlet of Miraz, in the municipality of Friol, there are no services, except for those offered by the pilgrim albergue and the bar/shop Parada. However, every morning delivery vans arrive selling frozen products, fresh fish, bread etc. This hamlet belongs to the parish of Santiago de Miraz. Its population, according to municipal data, is of 170 inhabitants. If you are traveling on the Camino de Santiago or are planning to do so soon, you should know that the distance separating Miraz from Santiago de Compostela is 87 kilometers.